First Test: Mini John Cooper Works, cannon shot! 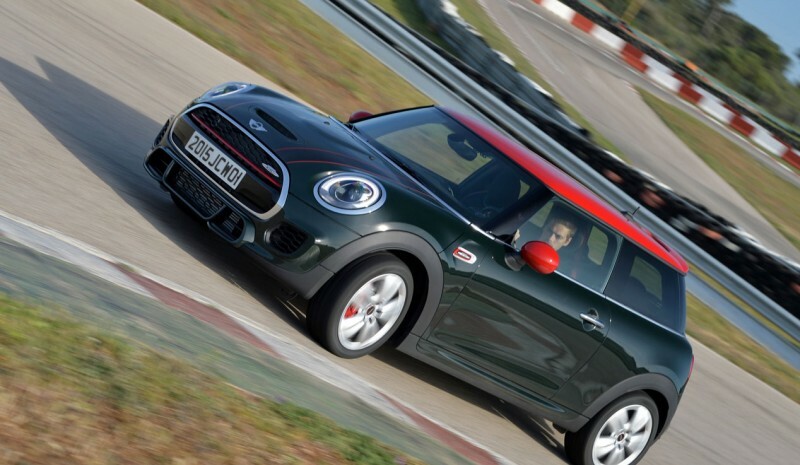 First Test: Mini John Cooper Works, cannon shot! I have always believed: the Mini is obviously speaking, the utility 911. 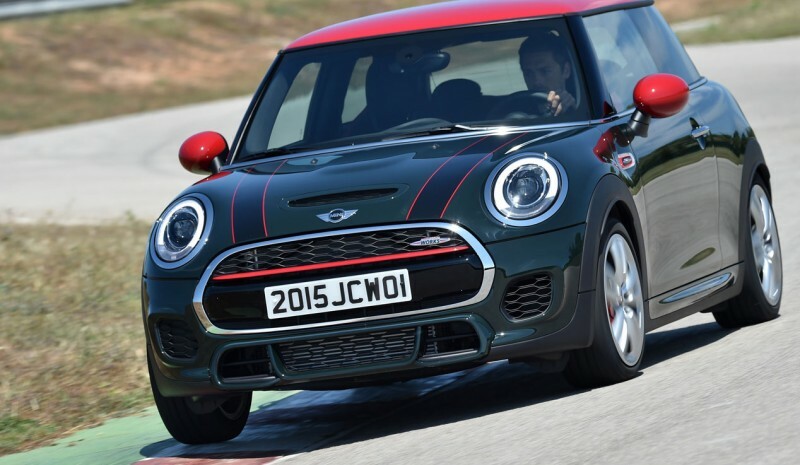 Especially in its already long mythical versions John Cooper Works, a historic name linked to the races and the British manufacturer for over 55 years. It is for the sporty feel always transmitted to the steering wheel, is how to show through their body movements and ultimately, it is the speed and effectiveness that is able to get both on the road and in the most demanding treatment circuit. Now, in the and third generation of the new era Mini, JCW stands (always associated with its 3-door body) Return not disappoint. Fasten your seat belts we got on the more sport utility market. Before moving on to the action, first memorize some technical data to understand the magnitude of the new Mini JCW. Thus, starting, it is a 10 percent more powerful and fast, and has almost 25 percent more torque. And it's a lot, and coming from where it came. thus replacing the great engine 1.6 THP 211 hp from the previous generation, today launches a new 2.0-liter turbo BMW source, derivative already mounted the Cooper S, but with 231 hp instead of 192. Always with direct injection, turbo double shell (TwinPower Turbo) and full variable valve timing (Valvetronic and Double Spans system), this time opens a turbo resistant to high temperatures and generates a higher boost pressure, new optimized pistons and exhaust to generate less backpressure of gases and give a truly spectacular sound. Mamma Mia! Forget for both new Peugeot 208 GTi 30th and Opel Corsa OPC 207 hp. To find 231 hp in the segment you can only look at Audi S1, who incidentally Mini "copy" exact power. Chance? Time to start the new Mini JCW and almost immediately feel a racing car. His drive is magnificent, overwhelming, with its already good maximum torque of 32.7 mkg available only 1,250 rpm. From there, it stretches with great forcefulness to reach their Cutting 6,000rpm. A real bullet, able to offer a top speed of 246 km / h and also announce 0-100 km / h from just 6.1 seconds. Yes, they are 3 points less than the S1 ... but keep in mind that there are no all-wheel drive and Audi. Another reason to understand the extra spice that is able to offer as sports. Always therefore front-wheel drive, the new Mini John Cooper Works great manages its new and strong 231 hp, even in maximum gas applications. And it does, largely with technology derived from competition... and the large rolling base of a third generation Mini that does not stop growing. And, more settled thanks to the overall increase in size (measured 3.87 meters long, but has a large track width -1.49 -2.50 meters- and battle meters-), the new Mini is also more car, although in this version JCW continue to offer greater fruit of a nerve also much stronger than their conventional sweetened versions and also advanced suspension. Both axes have the new Mini JCW with new bushings, stiffer and lighter materials (aluminum as new carrier), in addition to thicker stabilizer. Optionally, as in the rest of the range, You can mount the adaptive suspension DCC, adjustable dampers varying hardness in two positions. Accompanied entire sports chassis with a new team very durable and specifically developed by Brembo brakes (With disc brakes 4 bowlers and fixed jaws also specific 17 wheels ", 18 optional), with new aerodynamic devices (such as new air inlets occupying the traditional place of the fog lights) and a stability control It is including the Performance Control and EDLC functions to simulate the performance of a limited slip differential mail, this Mini JCW Mini is much. A steamroller. 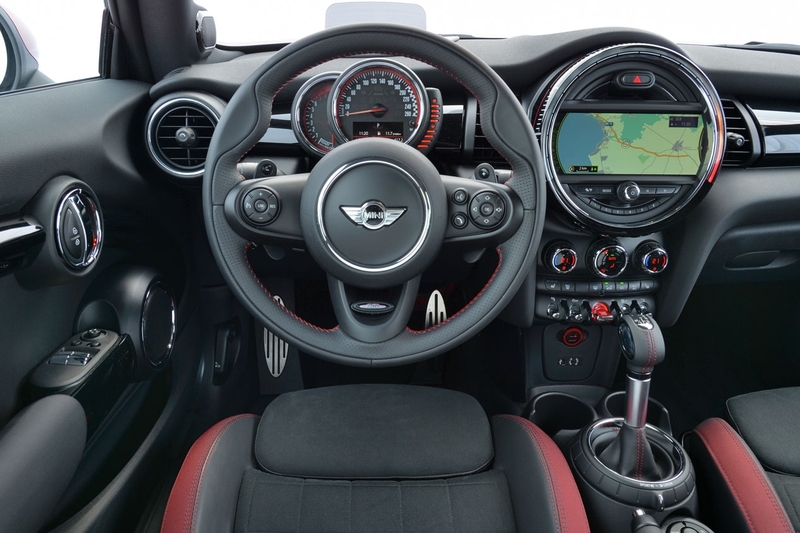 Equipped standard with the Mini Driving Modes, this JCW can modify the settings of throttle, steering, sound, or change in position MID (comfortable), Green (efficient) and Sport. No need to tell you what test circuit plays today. 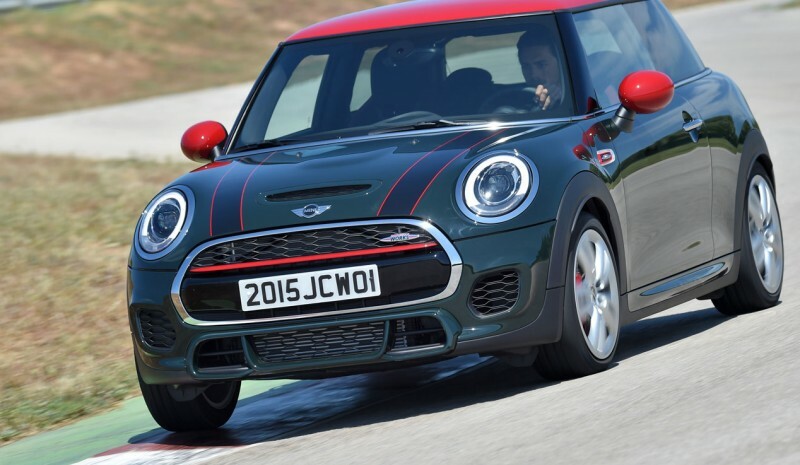 Throttle and maximum rate, the new Mini JCW not only runs a lot, but it does very well. Very light (Barely weighs 1,200 kg and has a weight / power ratio of just 5.2 kg / CV) Continues to maintain that touch of "kart" so characteristic always, but be as stressful as before when wring it out. Able to climb this time by the pianos as a real howitzer, very always immediately to any address request, completely flat thanks to its extremely low center of gravity and has a tour fantastic motor skills, even when we disconnected their aid circuit to always remain active electronic differential superb performance. Its rear axle remains, but now also more easily controllable alive: if you know how to find good point, you can always speed up the paths traced rounding. The new Mini JCW is therefore a small "giant killer" able to get the colors to more than one supercar even fastest lap circuit. Suma also in that agile handling and fun both challenging and fast manual transmission, with cortitos tours and developments, and do not want and get off of it. In option, you'll also find new automatic torque converter and six relationships, signed by Aisin and which derives riding the BMW i8 super sports car: it is also a delight for smoothness and speed (even in manual use cam), also promising a reduction in consumption of up to one liter: from 6.7 l / 100 km on average approved by the Mini JCW Manual passes about very good 5.7 l / 100 km: almost 20% less than the previous generation. 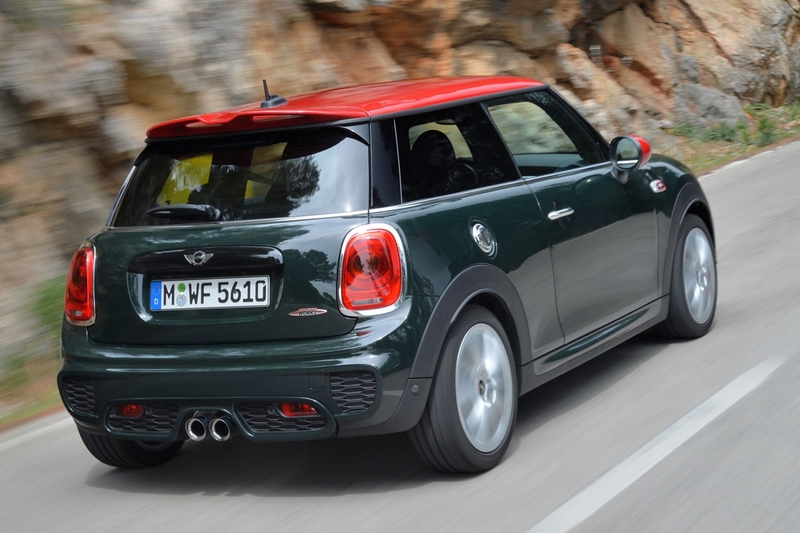 Genius, as always the Mini John Cooper Works ... but also figure. 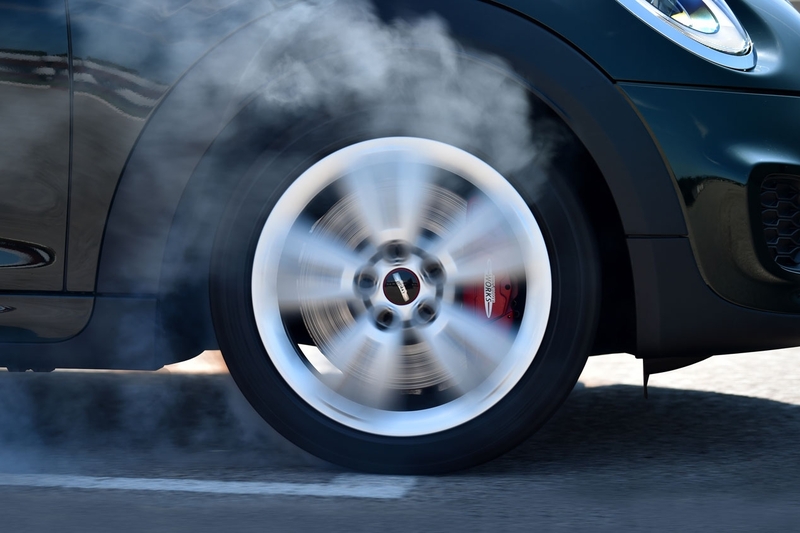 For the most need for ventilation will feel because it is a special version, high performance, but also in their Specific skirts, rear wing in JCW in their sport exhaust and even in their new color Rebel Green, available exclusively for him. On the inside, you will distinguish today the new Mini John Cooper Works for its sports seats with integrated headrests, for their JCW trim, for steering wheel and shift lever specific, for the stainless steel pedals, roof lining in anthracite color ... and instrumentation with additional oil pressure indicators and supercharging, and stopwatch. 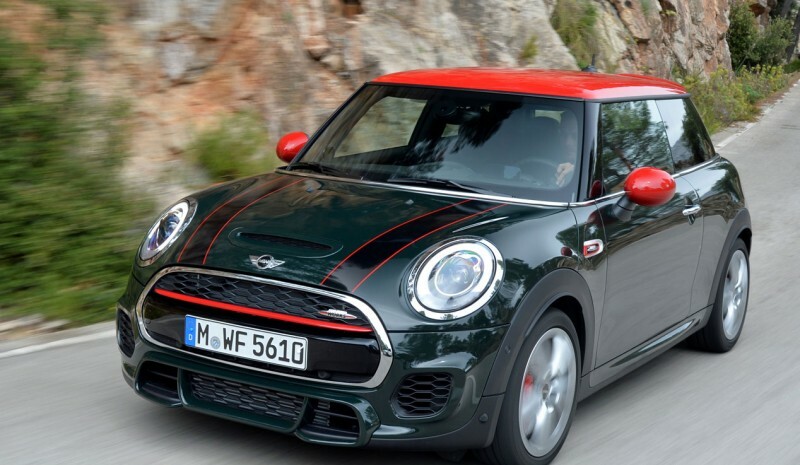 The new Mini John Cooper Works is now on sale from a price of 31,750 euros -Automatic- 33,700 euros, about 6,000 euros more expensive than the current Mini Cooper S, but at the same level as the previous generation. And today is much better sport.